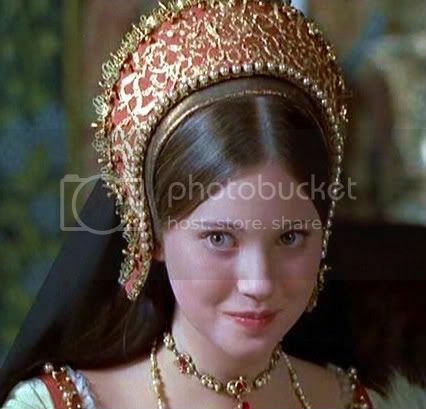 Above: Lynne Frederick as Katherine Howard in The Six Wives of Henry VIII (1972). Having returned from their northern progress lasting the whole summer, Henry VIII and Katherine Howard set out to quietly celebrate their marriage by means of blessing the marriage on All Saints' Day, 1 November. Henry publicly gave thanks for his 'rose without a thorn'. But it was not long before that day was to be ruined. For the events comprising Katherine's downfall had been set into motion. The story is an ambiguous and mysterious one, but sometime during the summer it seems that one of Katherine's childhood acquaintances, a staunch religious reformer named Mary Lascelles (who married into the Hall family), remarked to her brother, John, that she had no wish to serve the new Queen because she was light in both living and conditions. John pressed Mary for further details and she informed him that Katherine had been intimate with certain gentlemen within the Dowager Duchess of Norfolk's household. John, by virtue of his religious beliefs, was hostile to the Howards, and decided to use this story to ruin them. He spoke with Archbishop Cranmer, himself a strong reformist, who decided to take the story to the King once the royal couple had returned from the north in the form of a letter which was left in the chapel pew in Hampton Court Palace. Henry was shattered, shocked, unable to believe what he had read. He immediately, however, ordered an investigation into the allegations. For Katherine, it represented her worst fears. She had probably dreaded this moment ever since she had married the king and become queen. Whether she and Mary were personally hostile to one another, or whether the Lascelles were motivated solely by religious and political interests, is unknown. Mary Lascelles' allegation, however, would prove fatal. Four months later, Katherine would be dead, three others dying with her in the wake of her downfall. These events indicate the dangerous and brutal nature of power struggles at Henry VIII's court.